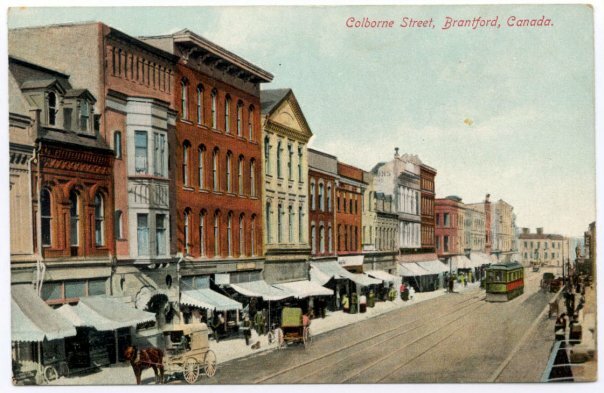 Five city councilors and the Mayor of Brantford have been pursuing the demolition of forty-one heritage buildings on the south side of Colborne Street in Brantford. 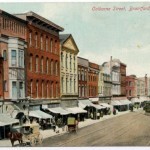 Colborne Street is the historic downtown of Brantford and by many accounts this stretch of buildings represents the longest stretch of pre-Confederation buildings remaining Canada. Yet for years Brantford’s downtown has suffered, as downtowns have across Canada, from the retreat to suburbs and box store retail outlets. Last year the city expropriated the forty-one buildings and applied for Federal stimulus money to demolish all of the buildings. 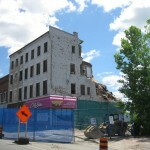 Despite lack of a plan for the site, a grassroots public movement opposing demolition, and recent news from the Federal government that the city’s environmental, heritage and archaeological studies were insufficient and alternate uses for the buildings instead of just demolition should be explored, last Tuesday the City began demolition. For the many heritage advocates, several of whom had never been so involved in a civic issue before, the scene was heartbreaking. For those fighting to save these buildings they felt that the very fabric of the history of their community was at risk. While historians often find “history” buried in documents in archives and on reels of microfilm, many find their community history visible most in the built heritage surrounding them. These buildings are more than bricks and mortar, they represent the past and continuity to the future. In Brantford the fight is not over as heritage advocates continue their pleas to Ontario’s Minister of Heritage and Tourism Michael Chan, and plan for future campaigns to save other heritage buildings in the city. 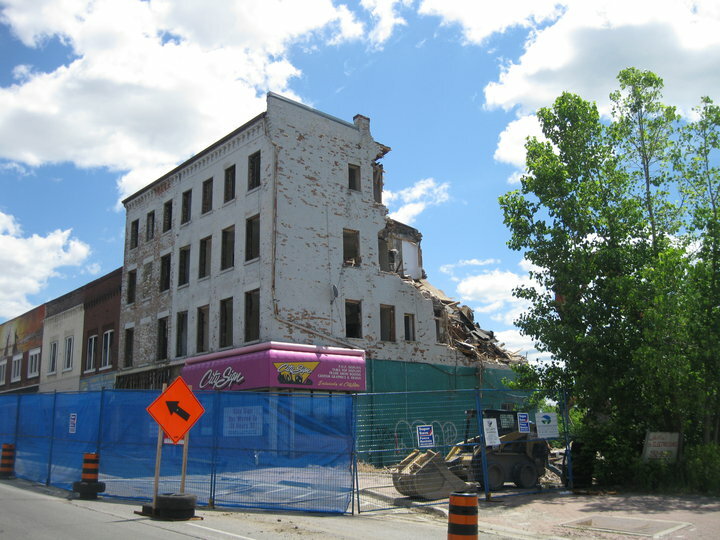 But Tuesday June 8th was a dark day for history, heritage and the city of Brantford.